Balotelli has hit the headlines again, but the striker has taken that to a whole new level this time. 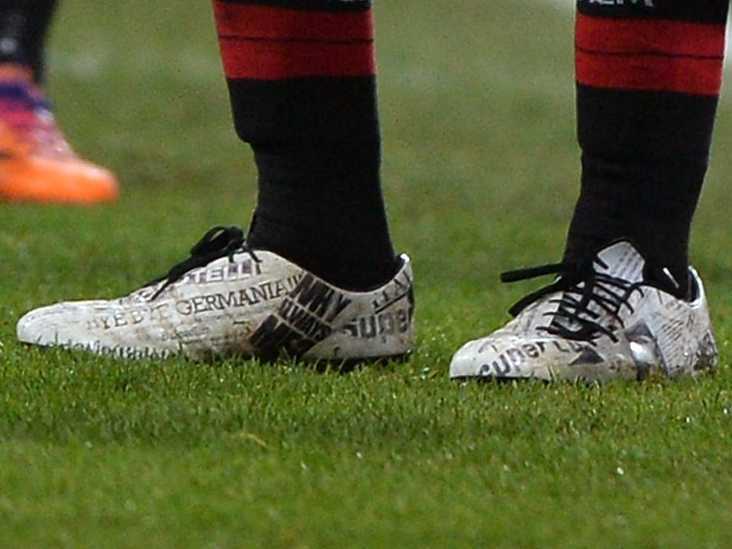 With the Italian never being one to shy away from being in the newspapers, he made light of that fact by putting those very same newspaper headlines on a mysterious pair of boots for AC Milan’s game against Roma on Monday night that lacked any detail barring the newspaper headlines. 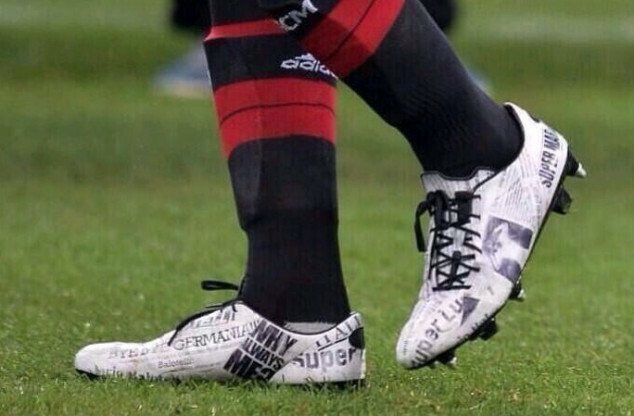 Being the football boot nerds that we are, we want to crack the question on the lips of many football boot fans: what boots is Balotelli wearing? 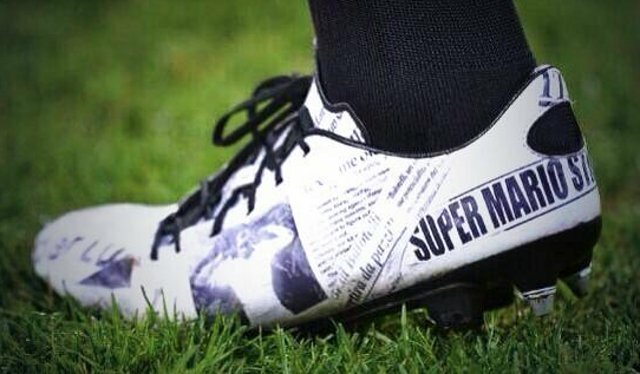 In true Instep style, we breakdown Balotelli’s boots in an attempt to work out what the partially insane (so we think) striker is wearing. First up, let us look at what we know about the boot. 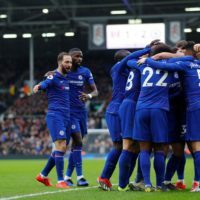 Followers of the Instep will know that Balotelli has been wearing black out versions of the Hi Vis Nike CTR360 Maestri III for the past 2-3 weeks. Followers of the Instep would also know blackout boots normally suggests a player is going through contract issues, and we kind of expected to see Balotelli perhaps thinking about moving to a new boot, perhaps with a new company all together. It finally happened on Monday night, but no one saw it happening in the bizarre way it turned out. Then there is the boots themselves. 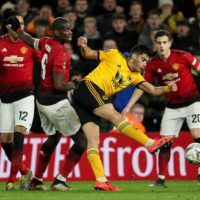 There are two instantly recognizable headlines used: one detailing his stunning two goal performance in the EURO 2012 semi-final against Germany with that goal celebration plus the “Why Always Me?” t-shirt from the Manchester Derby 2 years ago. Besides that, the boot appears to be a smooth synthetic upper with no real signs of technology built into the upper. The upper itself does not seem to be too thick, but not really thin enough to be a speed boot. The tongue, however, appears to be pretty thin and made of a synthetic material. There is also a hole on the heel of the boot, a la the ‘Gloryhole’ featured on the Warrior Sports range of boots. 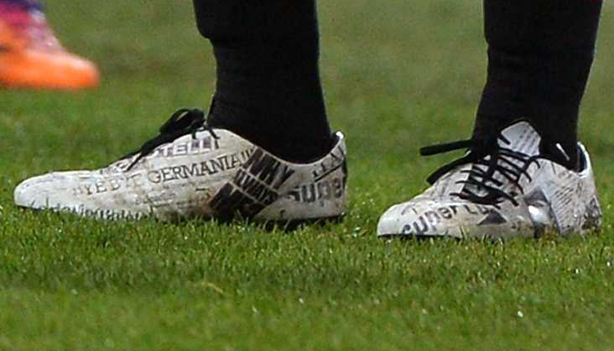 Balotelli’s boots also sport a hybrid soleplate, such that both FG and SG studs are present. So, with all of this in mind, let us work out what Balotelli is wearing. We may as well knock out the more obvious options first. Adidas have just released the new adiPure and F50 models, and while the F50 does have a smooth upper like Balotelli’s boots, they do not share the same likeness with the stud shape. The next new releases adidas have lined up are the next Predator and Nitrocharge, which we are not expecting to see until the end of this season and do not share much resemblance with Balotelli’s boots. Weighing it up, we are pretty sure Balotelli is not wearing anything from the ‘three stripes’. 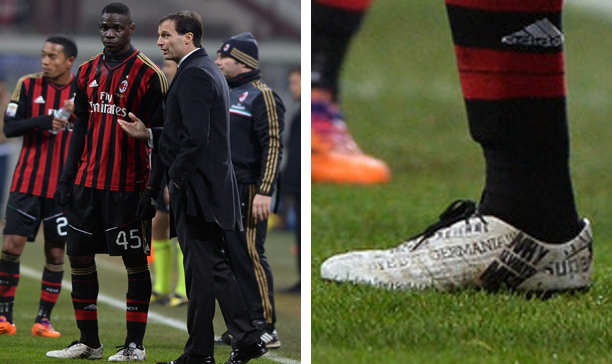 Similar to adidas, it is a very low chance that Balotelli is not wearing anything from Nike. It just does not make sense, why would Nike give a special edition boot with a lack of any real distinguishing features to a player who is hardly the most important advertising tool to the brand? While Nike does do the SG-Pro stud configurations like Balotelli’s boots, the closest boot they resemble is the Mercurial, but it is not a perfect match. With Nike’s next release (an update to the CTR, cannot tell you the name yet) not coming out for at least another 4 months and looking nothing like what Balotelli wore, we are putting Nike at long odds for this one. Now we get to the real nitty-gritty part, and we are putting down Warrior Sports as a potential dark horse here. Well, kinda. There is one point that does sink the argument though. 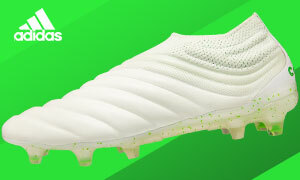 I will concede a few things, that hole on the heel is certainly reminiscent of the various heel holes found on the Skreamer and Gambler range of boot, and we know that Warrior Sports are never one to shy away from a bold advertising campaign/football boot. But ladies and gentlemen, we have a pretty clear favorite, and we see a switch to Puma for Mr. Balotelli. It all adds up, Puma love a limited edition boot release (think the BMW evoSPEED, the Puma King Lux and the Camo evoSPEED), they have been pretty quiet as of late and they make the very same kit Italy will line up in come their first game for the World Cup. Puma are also coming out with the successor to the PowerCat 1.12 very soon, the all new evoPOWER, a control/power boot hybrid. Balotelli’s boots share a lot of similarities with the blackout versions of the evoPOWER worn by players like Cesc Fabregas and Bacary Sagna in training, from the smooth upper to the detailing on the heel. Coming from the CTR, the evoPOWER is a very similar boot to what Balotelli wore during his time at Nike. It is a logical move from Puma, because people have been used to seeing Balotelli wearing a control boot. So if people see that the ex-CTR wearer is now wearing Puma’s version of the Puma boot, you will have a few people who think ‘oh so he is wearing Puma’s control boot, and not Nike’s? Well it must be a better boot!’ Of course, it is a big assumption, but there will be people who are not educated about boot contracts who think like that. It is ultimately all about sales for Puma, and putting Balotelli into a direct competitor for the CTR is a power move from Puma that may work out in there favour. We may as well touch on the other brands for completeness, even though we are certainly leaning towards Puma being Balotelli’s new boots of choice. Mizuno and arguably Under Armour are really the only brands who have the financial backing to go after a player like Balotelli. Mizuno have only just released their new Wave Ignitus III, and with no new boots in the pipeline for Mizuno, they can be ruled out. Balotelli’s boots seem to be a design Under Armour do not really release, with Under Armour normally favouring boots with a bit of tech jammed into the upper, so we are ruling out Under Armour as well. 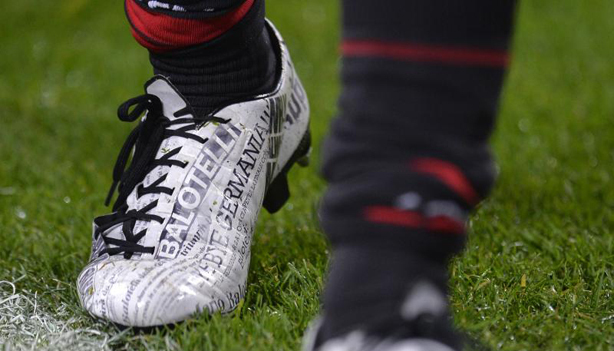 What do you think about Balotelli’s disguised evoPOWERs? Are you looking forward to the release as much as we are? Share your thoughts in the comments section below. So I play soccer, I watch it a lot, I write about soccer equipment, and I am also a referee in the major state leagues in Australia....it is fair to say that soccer definitely has a massive part to play in my life! I am about to hit my twenties, but a life dedicated to supporting Norwich makes you feel a lot older than you really are (I mean, we got relegated, lost 7-1 on the opening day of the season in League 1, then got promoted two seasons in a row, it's a roller coaster)! I am in the middle of completing a commerce degree at the University of Melbourne, but between studying, refereeing and the *ahem* social life of a university student, I still love spending my free time writing for The Instep!